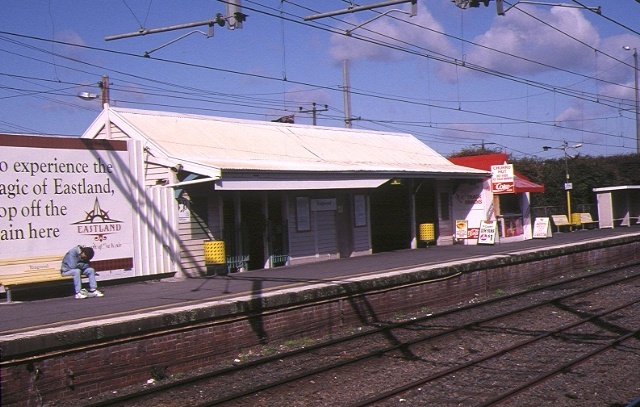 The Ringwood Railway Station which comprises the brick station building, a timber station building, a timber signal box, platforms, railway tracks and other railway-related structures. 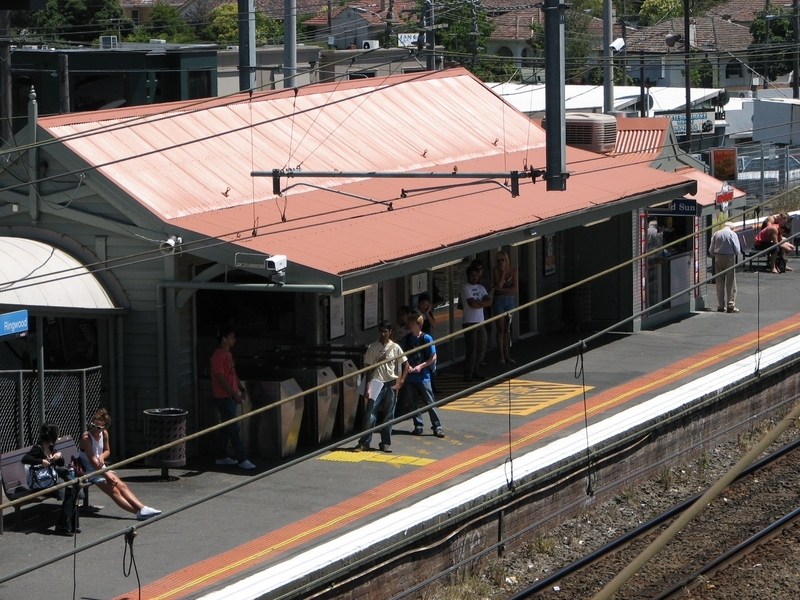 Construction of the railway station at Ringwood commenced in 1889, seven years after the Melbourne to Hawthorn railway line was extended to Lilydale in 1882. 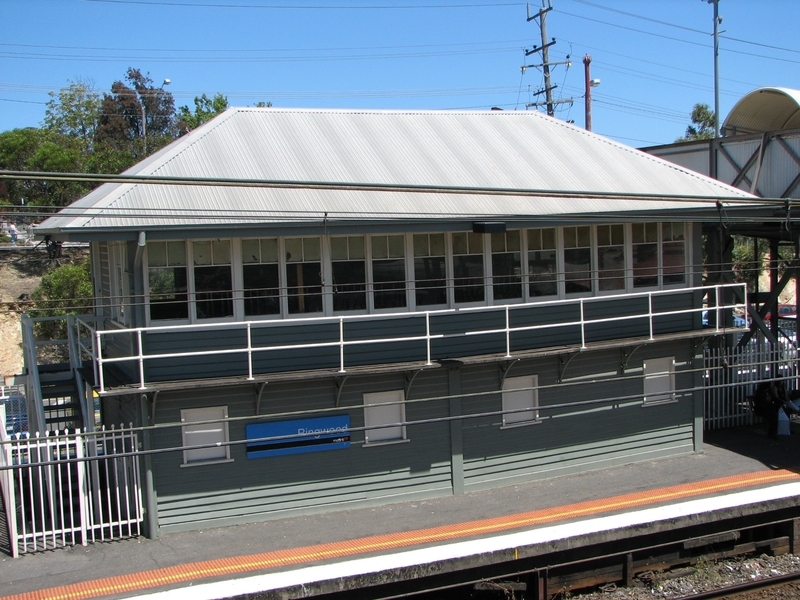 The brick station building was erected on the downside platform, to the north of the rail line, when the Ringwood line was extended to Ferntree Gully. In 1891 a timber station building was constructed on the upside platform. A timber footbridge with steel beams and cross struts and corrugated iron lining to the balustrade was built in 1921. 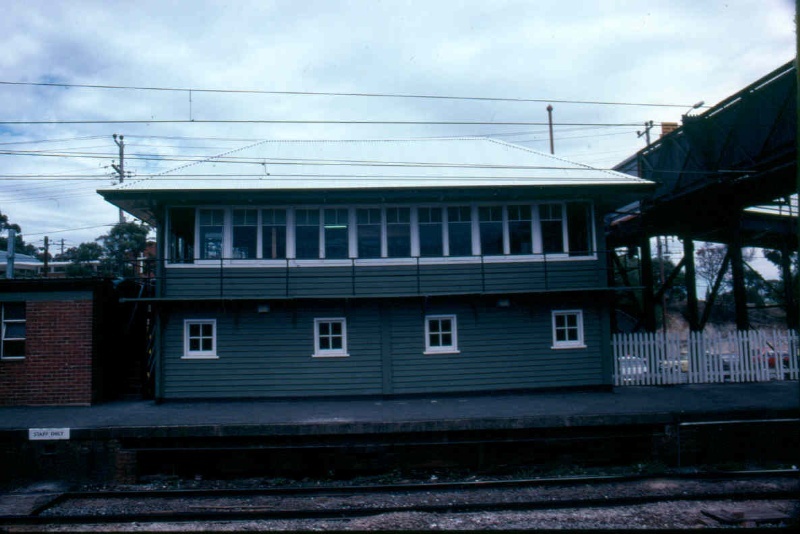 The timber signal box replaced an earlier structure in 1926 following electrification of the line. 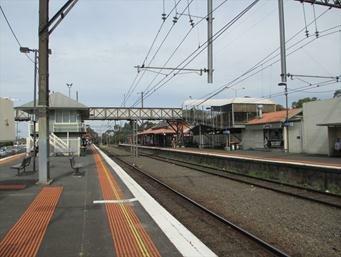 The Ringwood Railway Station is located to the south of the Maroondah Highway in Ringwood. 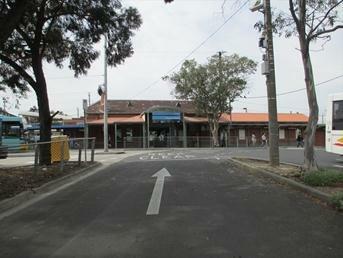 The 1889 brick station building is one of three designed by the Victorian Railways in this Tudor style. It is built of red tuckpointed brick with half-hipped slate roof and initially contained a ticket office, parcel office, ladies waiting room and rest room. The building has detailing consistent with the Tudor style including angular pointed openings to the windows. The roof incorporates steeply pitched gable roof vents, the chimney breasts feature dark polychromatic brickwork and the window heads have depressed triangular heads. The convex platform canopy is supported on cast iron Corinthian columns. Extensions were made to the west end of this building in the 1920s and in the mid-twentieth century. The 1891 timber station building appears to be one of the most intact of a small number of surviving timber station buildings which were of a basic modular design using similar detailing and primarily constructed at suburban locations. Eight stations were built in this specific "Ringwood style" between 1886 and 1891 and it appears that only three survive. 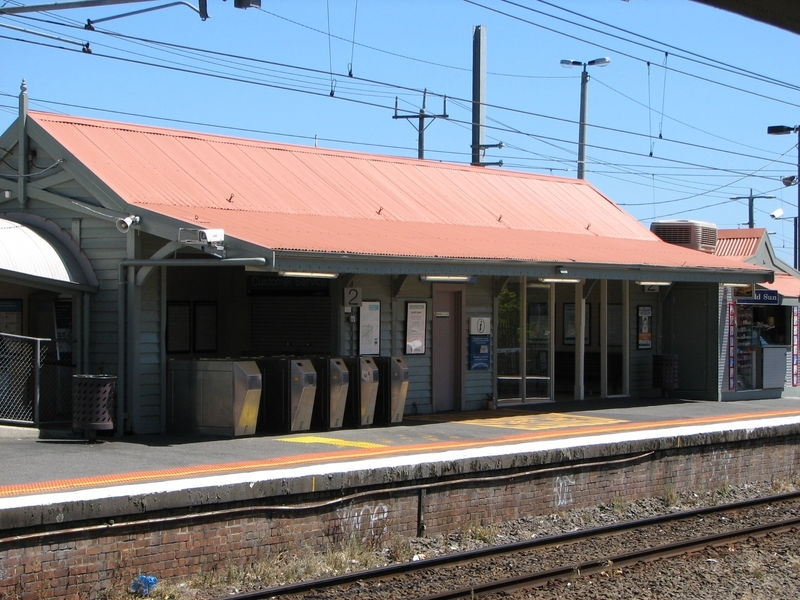 These stations included only the most basic facilities, the minimum including a small booking office and open waiting area with timber bench seating as constructed at Ringwood. The building is a simple timber pavilion with gable roof, end finials and cross bracing, and cantilevered canopy supported on deep timber brackets; an original ticket window is extant within the building. A booking lobby has been added to the east end of this station building. 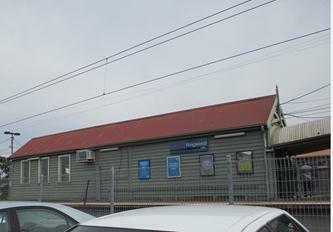 This building has been relocated along the platform a number of times. As Executive Director for the purpose of the Heritage Act 1995, I give notice under section 46 that the Victorian Heritage Register is amended by modifying Heritage Register Number H1587 in the category described as Heritage Place. All of the place shown hatched on Diagram 1587A, plus the area shown cross-hatched, encompassing parts of Lot 1 on Title Plan 875874, Lot 1 on Lodged Plan 76330, Crown Allotment 2115 and Crown Allotment 11J Parish of Ringwood. 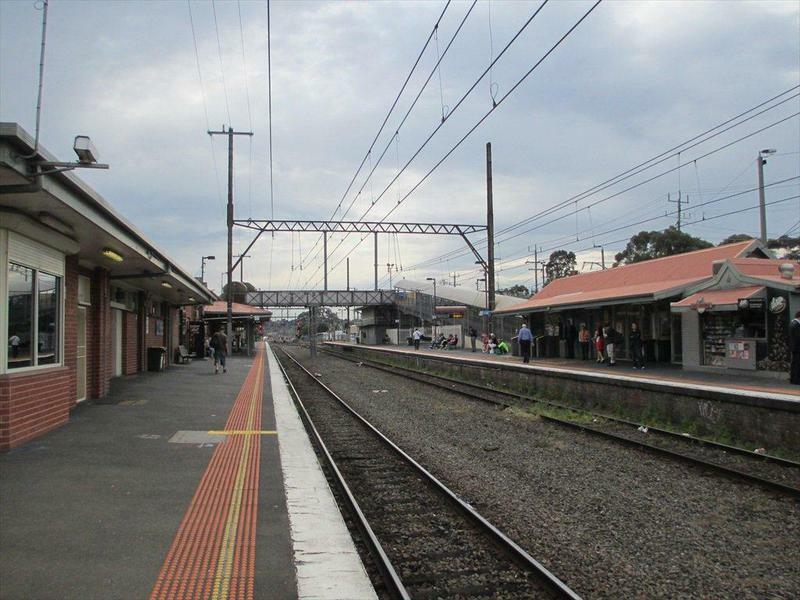 The Lilydale railway line was opened in 1882, with a siding at Ringwood. 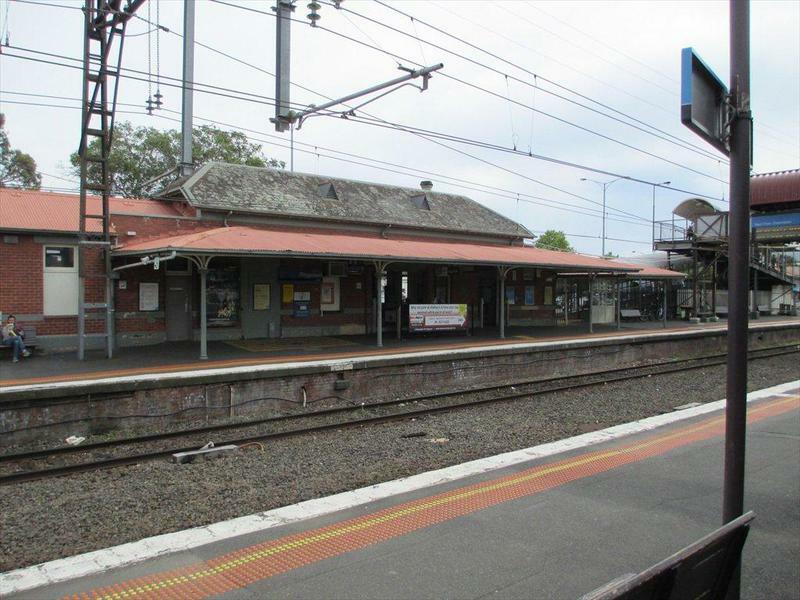 In 1887, a goods shed was constructed, but it was not until 1889 that construction of a railway station at Ringwood started, which was seven years after the Melbourne to Hawthorn railway line was extended to Lilydale in 1882. 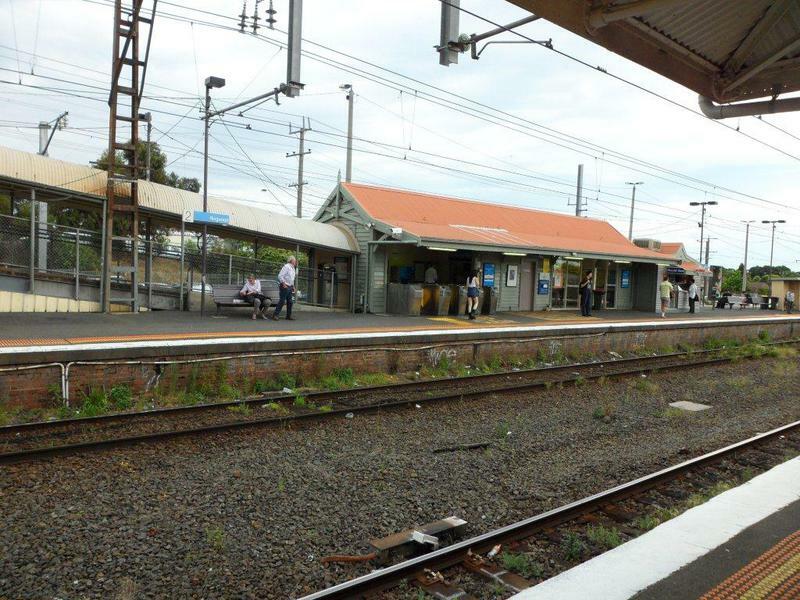 Construction of the brick station building commenced in 1889 on the downside platform to the north of the rail line. A timber footbridge with steel beams and cross struts and corrugated iron lining to the balustrade was built in 1921. The timber signal box replaced an earlier structure in 1926 following electrification of the line. The station has an important collection of nineteenth and early twentieth century railway buildings including a brick station building of 1889, timber station building of 1891, a 1921 footbridge and a 1926 signal box.
. Minor repairs, maintenance and replacement of 'like with like' for buildings, structures and services.
. Any works to buildings and structures including demolition, but not additions. 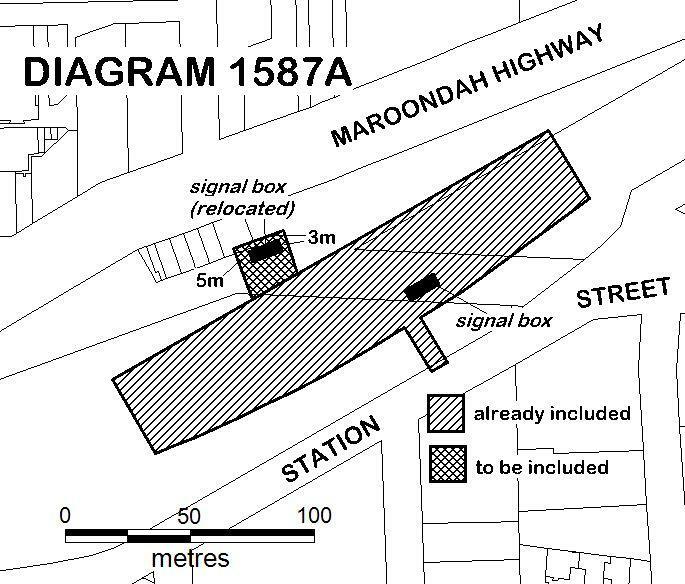 This excludes the 1889 brick station building, 1891 timber station building, and 1926 timber signal box.
. Repairs to and replacement of track, sleepers and ballast.
. Removal of extraneous items such as air conditioners, pipe work, ducting, wiring, antennae, aerials etc, and making good.
. Installation or removal of external fixtures and fittings such as, hot water services and taps.
. Repairs, replacement or installation of rubbish bins, seating, bicycle racks and other small items.
. Installation of new but not removal of existing original significant signage.
. Minor repairs and maintenance of road/path surfaces, kerbing and landscape elements.
. Track and road works, landscaping and maintenance to buildings and services.
. Any internal modifications to buildings and structures. 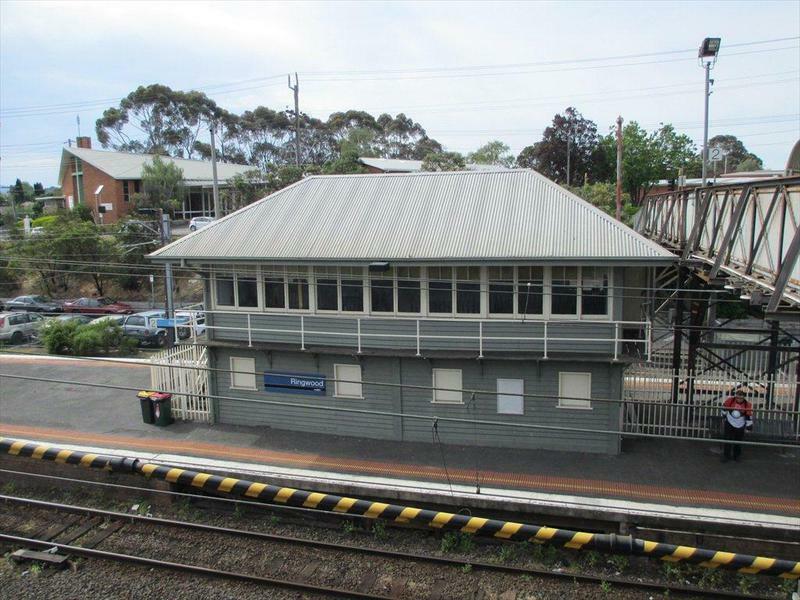 This excludes the 1889 brick station building, 1891 timber station building, and 1926 timber signal box.
. Installation, removal or replacement of carpets and/or flexible floor coverings.
. Installation of stud walls, which are removable.
. Installation, removal or replacement of electrical wiring. The extent of registration of the Ringwood Railway Station on the Victorian Heritage Register affects the whole place shown on Diagram 1587 including the land, all buildings, roads, trees, landscape elements and other features. Under the Heritage Act 1995 a person must not remove or demolish, damage or despoil, develop or alter or excavate, relocate or disturb the position of any part of a registered place or object without approval. It is acknowledged, however, that alterations and other works may be required to keep places and objects in good repair and adapt them for use into the future. 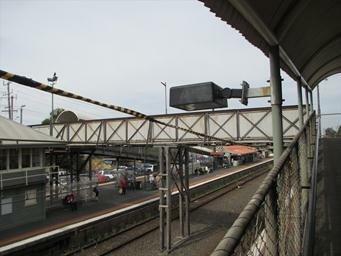 Ringwood Railway Station is of historical significance as an illustrative assemblage of nineteenth century and early twentieth century railway buildings. The exterior of the buildings are of prime importance. The interior is important if original fittings and fixtures still survive. Permits are required for any new buildings and structures.